Refine Medical Spa in Fleming Island, Florida offers IPL-Photofacial , Laser Hair Removal, Sublative Rejuvenation-Fraxel treatments. These treatments can tighten and rejuvenate your skin and remove unwanted hair. Here at Refine Medical Spa, we use the revolutionary elōs™ (electro-optical synergy) technology, the first and only technology that simultaneously harnesses the power of radio frequency and optical energy. Learn more about laser treatments available at Refine Medical Spa below. To schedule a consultation or appointment, call us at (904) 541-3055 or use our online form to make an appointment. FDA-cleared Sublative Rejuvenation using eMatrix is truly a unique procedure because it's the first to combine the results you can get with aggressive treatments – with little downtime. The secret to Sublative Rejuvenation is the energy used and how the energy is delivered through the skin. To achieve the best possible results, the energy, whether laser or light, must be delivered below the skin without overheating the top layer of skin. This has been the challenge with other more aggressive treatments because they work by overheating the top layer of skin to the point of complete ablation (removal), forcing new skin to develop. Sublative Rejuvenation uses fractionated bi-polar radio frequency to penetrate through the skin, sending more energy beneath the surface of the skin to really maximize collagen production while keeping the top layer of the skin intact. This is an important factor in why it's safe for all skin types. Sublative Rejuvenation is clinically proven to treat fine lines and wrinkles, acne scars, stretch marks, and textural irregularities caused by excessive sun exposure. There is little to no downtime post-treatment. Patients can return to regular activities following treatment. Sublative Rejuvenation is the "all-natural" approach to enhancing your youthfulness. Unlike other non-aggressive cosmetic treatments such as Botox, fillers, or chemical peels, Sublative Rejuvenation works from the inside out by stimulating cell regrowth. Thus, results with Sublative Rejuvenation last longer and can be further enhanced with yearly maintenance treatments. Sublative Rejuvenation is proven safe and effective on ALL skin types and degrees of pigmentation. Powered by the revolutionary elōs™ technology, PhotoFacial treatments target the area to be treated while leaving the surrounding area unaffected. 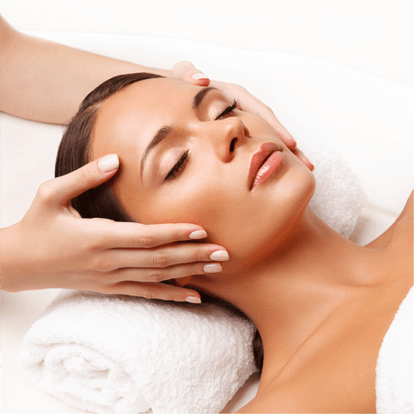 PhotoFacial RF skin rejuvenation can be performed on the face, neck, hands or body. Using the elōs technology, one of our board-certified surgeons gently delivers precise amounts of intense pulsed light (IPL), infrared laser, and radiofrequency (RF) energy through your skin's surface. The synergistic light and radiofrequency energies stimulate the growth of collagen and elastin, which helps repair the skin for a more beautiful you. PhotoFacial RF treatments are practically painless and require no downtime, so you may resume your regular activities immediately after treatment. Depending on the condition you are targeting for treatment, you will likely need 5 to 6 sessions performed 4 weeks apart. At the end of your treatment plan, you can expect long-lasting results of up to a year. Get rid of your trouble spots. Call Refine Medical Spa in Fleming Island, FL at (904) 541-3055 to schedule your PhotoFacial RF treatment today, or use our convenient online consultation request form. Put an end to shaving, waxing, and plucking once and for all! With Refine Medical Spa’s laser hair removal, you don’t have to live with embarrassing body and facial hair anymore. Laser hair removal is a safe, fast, and effective alternative for dealing with unwanted hair on any body part, including the face, underarms, bikini line, legs, arms, and back. At Refine Medical Spa, one of our board certified surgeons uses the elōs™ system to target hair follicles, the part of hair responsible for growth. The system first preheats the follicles with optical energy, then delivers radio frequency energy to damage hair follicles and remove the hair. Each elōs laser hair removal treatment usually results in some permanent hair loss. Depending on the area to be treated, you might need 3 to 5 treatments at approximately 4 to 8 week intervals. Get rid of unwanted hair today. Call Refine Medical Spa in Fleming Island, Florida at (904) 541-3055 to schedule your laser hair removal treatment today, or use our online consultation request form. We also offer cosmetic services for younger looking skin, cellulite reduction, HydraFacial™, and medical-grade skin care. The medical team at Refine Medical Spa looks forward serving you in Fleming Island, Florida. Call (904) 541-3055 or use this form to schedule your personal consultation.